Now you can add videos, screenshots, or other images (cover scans, disc scans, etc.) 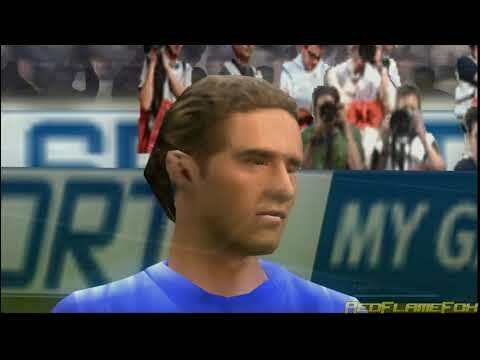 for FIFA 06 (Italy) to Emuparadise. Do it now! __ _____ __/\________ .|. ________/\__ _____ __ \\____\\ ___ \__:_________|_________:__/ ___ //____// _ |_ \_____\ : _ __ | __ _ : /_____/ _| _ _____/ _| __________\ _ __.__ \ .!. / __.__ _ /__________ |_ \_____ / __. |.\ ____ \ . \ \_\ /_/ / . / ____ /.| .__ \ ' ./ '___' \ \ \____\ _) .\ __'__ /. (_ /____/ / / '___' \. ' ____________\ \_. | _|'\__ _/ \_ __/'|_ | ._/ /____________ \ ____ \ | | | | / ____ / \ \. \ _ | _|__ ___/\ __ _ |____/\ _ / ./ / \_\\\___\____ _( _(__)__.' \\ \__.___ \\ )_ ____/___///_/ / //' ' |_ / \__| / \ '\\ \ / /' ____/ / |_ __ _ '/ ___\ \_______.__/ \ '\ \ /___________/ . | \/| \___ ____/ | . \___________\ / /_______| |______ ______| |_______\ \ __ _/\_ . /__________/ | | \ / | | \__________\ . _//. >,"< |__ . / : |____/\ /\____| : \ /\_| | / __) /__/ . ' \ / ' . \__\ / \\| _._ __|_ __/\__ /_______ ._/ \_. _______\ ____/ \\____ \ \\_' \ Oo / ._ \______/ ! \______/ _. \ ~ / | /_ _\ ' .__ _____ i n d _____ __. ' \ /\ /\ / _ ___ ' \/ \\__ \\__ __// __// / \/ \/ \ _\_ _ \______ __ ___ \ _____/ \_____ / /___ ___\ \__ _\ ._ ._ \\_______ /\ _ \ / .\_\ _| \_ _|__ ' . ._ \____________ ______/ \ _//. \ ,/ __ \__ |_. |_/ (__ _/\_ ' independent ___\____ \/ \ _. '_| ____|________ >,"< proudly presents .____ /____\__\_.' \___/ _|/ '____\\ \________ ___ _____/ \______ _____/ .___ _) | \_. FIFA 06 |_ | | ._!_________________________________ ______ __/\__ | . ~ rom information .____\\____ /\________ __//_ . _ \ oO / | :_____________________________________/ /_______ / .___/ /_ _\ | | \/ \/ | | country.......: Italy language(s)....: Italian | | release date..: 04.03.2008 UMD-Serial.....: ULES-00164 | | system........: Sony PSP filename.......: ind-fifa06i |_ | size..........: 28 x 20Mb supplier.......: DaTak | ._!_________________________________ ______ __/\__ | . ~ release notes .____\\____ /\________ __//_ . _ \ oO / | :_____________________________________/ /_______ / .___/ /_ _\ | | \/ \/ | | Fifa_06_PAL_ITALIAN_PSP-DvB is a bad dump. | | It includes garbage data in the middle of the iso, the commentary | | does not play and the game freezes after several minutes of playing. | | This is the long-awaited good dump for a nice football game from EA. | | ITALY: WORLD CUP WINNERS 2006!!! | | |_ | no-intro 2oo8 - "Gotta eat pizza" | ._!_________________________________ ______ __/\__ | . ~ greets .____\\____ /\________ __//_ . _ \ oO / | :_____________________________________/ /_______ / .___/ /_ _\ | | \/ \/ | | dedicated to the no-intro datters, the irc and forum staff and to all | | of our heroes, the suppliers and redumpers. Greets to Eternity, FCT, | | Oldskool, gbarl.it and all our friends. | | | | a bottle of pop to our friends in: TrashMan, WRG, SiR VG and Caravan! | | /\ /\ _____________ . | | ________/ \______________/ \_____ [:::::::::::: '__ _____|__ | | ____\ /\ ______ \ ____..........:] | / | | / __ _/__\ ` \ \ \_.. ________ _ _ __|_ | |/ / ` / / /. \\_' | / / _/ _/ /__\ [:::::::::::::::] | | \ /__ \ / _ ___ _ _________ ___(' ! !\ /_____ \ _________________/ _ [::::] | | : : \ / \______\ /________/ .__ _____ \____ _ ' _|__ ' : : \ / \ / est. 2oo3 \\__ \\__ _. __' / _/\_ . . \/ \/ \ _____/ ' >,"< . .